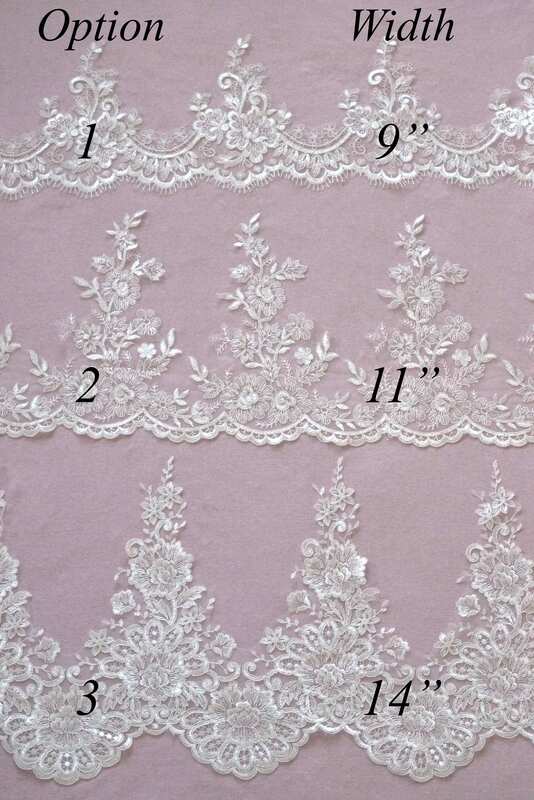 It would be my pleasure to make a gorgeous veil for your big day! The most common question that is asked - where do I begin? The answer is - ordering swatches from S & E veils. 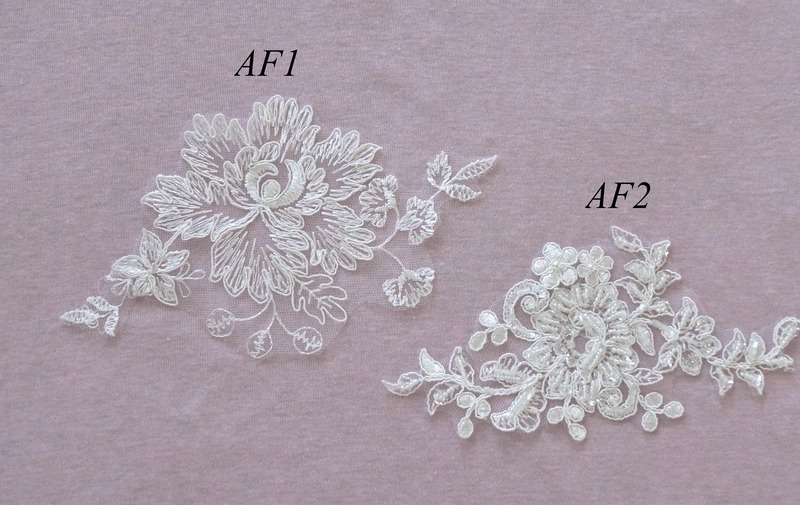 This is the first step to getting the right color to match it to your beautiful dress! Please select a "dress color" from the drop-down menu. 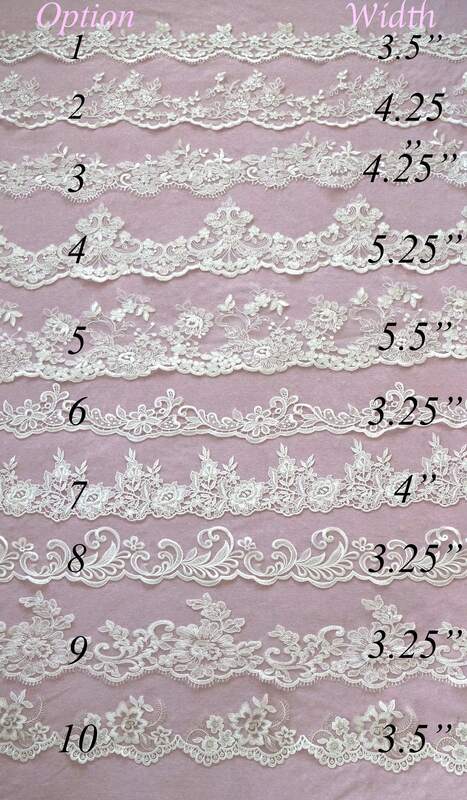 This lets me know which swatches to include for you and if chosen - which lace colors to include. 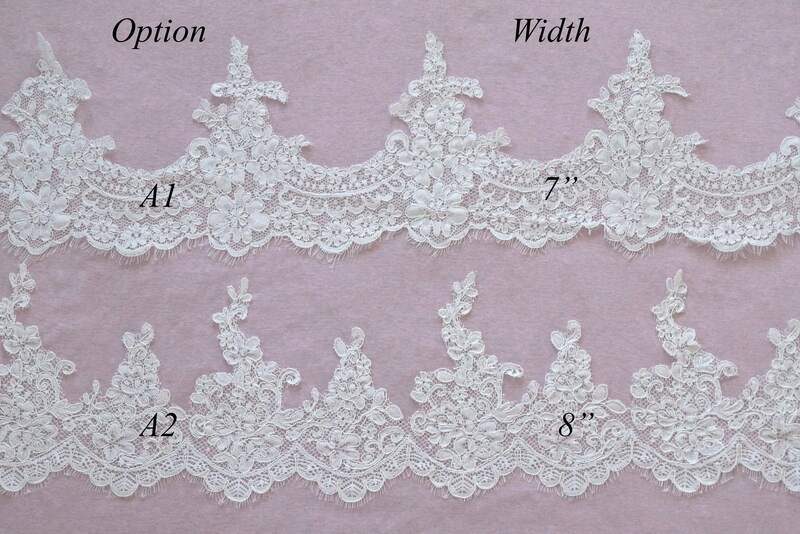 LACE Colors are White/Ivory/Light Ivory. Elena was so responsive and dedicated to answering all of my questions! 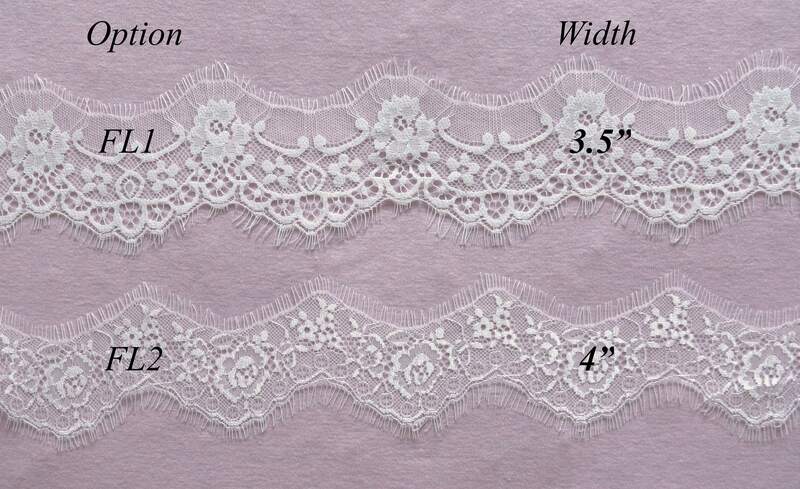 the tulle and lace arrived in less than a week of ordering! Beautiful lay out! 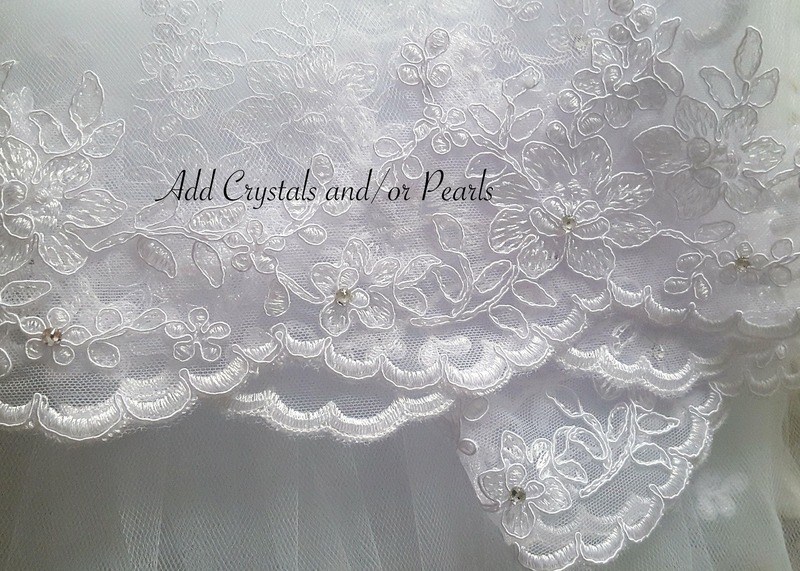 Very happy with the quality of the tulle.